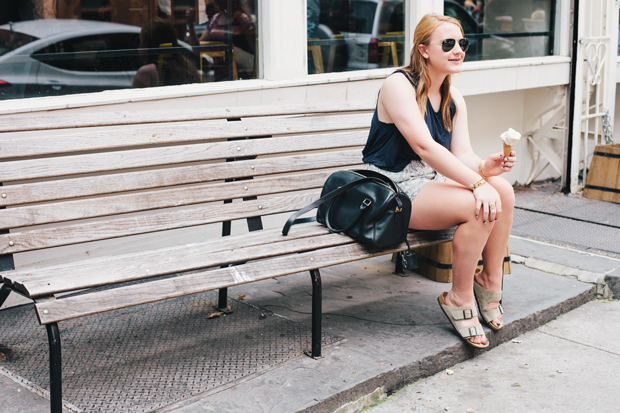 Cue to the scene of a hot and humid day complete with sticky ice cream dripping down my hands and limbs. 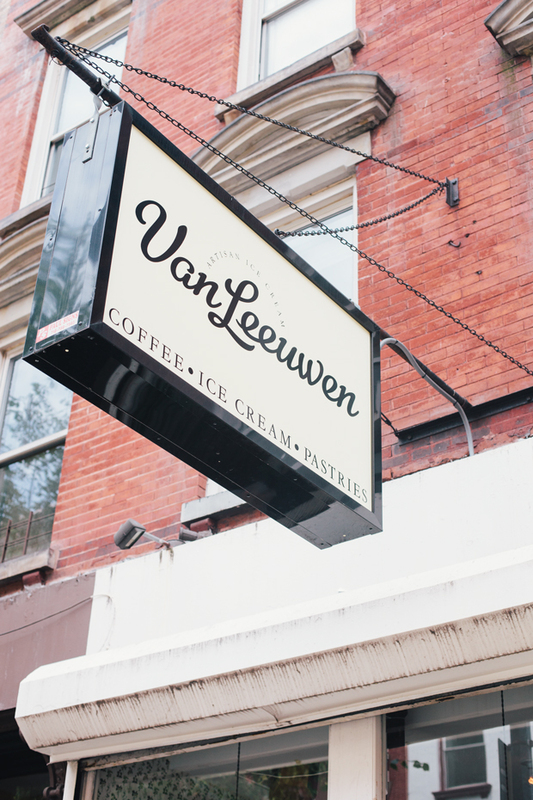 Last weekend, Alexandra recommended Van Leeuwen's in the East Village. Complete with a perfect people watching bench- you know you do it too- it was the perfect break in a busy day. More on the ice cream no less, I rarely stray away from my tried & true favorite of chocolate, but a vegan mint chip just sounded heavenly. If you guys follow me on social media, my strict self-enforced rule of "eat it, don't tweet it" was broken with this failed snap via Twitter. 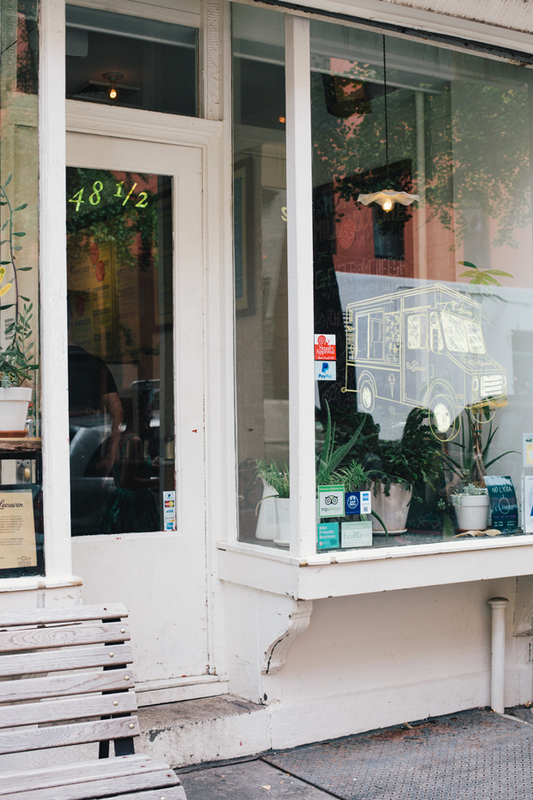 I am planning on creating a city guide on my favorite places very shortly. Perhaps a part mostly of ice cream? Oh yes, be ready for it. 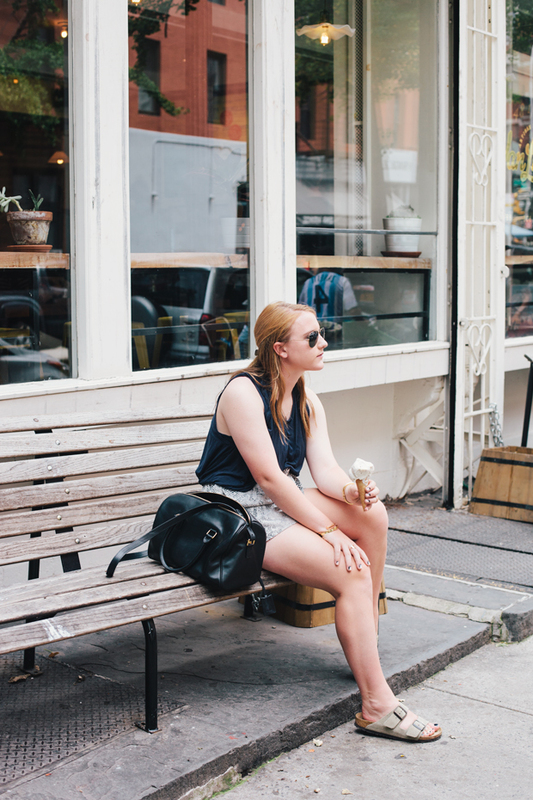 A lazy relaxed uniform of loose tanks, silk separates, and birks has become my formula for days when the humidity sky rockets. As much as I would rather wear overalls or a more stylish assemble, this whole pajama dressing vibe is working for me quite well. Pajama dressing & ice cream? Sleep deprivation at its best. Blame it on Laser sailing.